Werkbench arrives with a wicked new update! At the heart of WerkBench are two step sequencers that can sample sounds directly into rhythms and then warp those sounds with synthesizer type controls and high-quality audio effects. -Ableton Link’s technology let’s you easily sync WerkBench with other apps and the rest of your studio. No computer or additional software required, It just works. It’s amazing. Thanks Ableton. -AudioShare support allows easy transfer between WerkBench and the popular audio editing/managing app AudioShare by Kymatica. WerkBench can now open all types of audio files into the importer. Previously, there was no way to start over completely from scratch. Now you can choose ‘New session’ via the folder button. -Brought back the play toggle. -Added a record button. Now you can temporarily disarm recording while working on sounds in another app and then re-arm your steps without having to switch back to WerkBench. Saves you some clicks! -Step editing knobs now default to sensible values and are easier to control. -Some buttons were hard to tap. -Got rid of a click that would happen in the envelope with long low sounds. 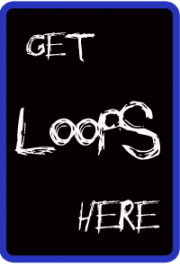 -Saved loops now recall their first and last step correctly. –Edit the level, pitch, pan, low-pass filter, high-pass filter, envelope attack & decay, echo send, reverb send, and bit crusher effects independently for each of the 128 steps! –All of these settings can be: performed and recorded in real-time, randomized, or programmed on the sequencer grids. –Chain sequences to build longer loops (1 – 128 steps!). –Modeled tape echo for spacey effects with a sweet real-time visualizer, tempo sync, and free running modes. –Reverb with fully sweep-able controls for decay, color (tone), and mix. –Save and load loops or whole sessions of 8 patterns. –Share loops between devices easily via airdrop, iTunes, e-mail, etc. –Export loops and recordings via Audio Copy, iTunes file sharing, and email. –MIDI sync and MIDI note modes. Each of the 128 steps can be triggered on its own MIDI note.